Psychedelic Speed Freak: Remembering The Blistering Experimentalism Of Hideo Ikeezumi : The Record Hideo Ikeezumi, the founder of a flashpoint music Tokyo music shop and the quietly influential P.S.F. record label, is remembered by those he worked with most closely in his twilight. Hideo Ikeezumi in his Tokyo shop, Modern Music, in 2009. Editor's note: The authors of this post, Peter Kolovos and Steve Lowenthal, worked closely with Hideo Ikeezumi in his final years, with Kolovos purchasing most of the impressive catalog of music he had released and reissuing that catalog through his U.S.-based Black Editions. Below, they share a remembrance of the man as well as a cross-sectional playlist, complete with "liner notes," compiled from the vast catalog of strange, lovely sounds that Mr. Ikeezumi dedicated himself to. Over nearly forty years Hideo Ikeezumi, the Japanese founder of the infamous record label P.S.F. who died early this week at the age of 67, was a champion of his country's always-vibrant underground scene, introducing the world to some of the most distinct and uncompromising music ever created in Japan. Ikeezumi was born in 1949 in Tokyo, starting his career in music as a buyer for large record store chain Gobangai. Eventually, he became frustrated at the lack of diversity and far-out sounds that the chain would allow to be stocked. To remedy that cultural blind spot he founded the store Modern Music in the early '80s in Tokyo, stocking the music he cared most about — free jazz, avant-garde, psychedelic rock and other hard-to-find-at-the-time genres. Quickly, his shop became a focal point for adventurous Japanese musicians. Ikeezumi launched P.S.F. records several years later, in 1984, with the release of the aptly titled Psychedelic Speed Freaks, the debut album of Tokyo band High Rise, which became a titular acronym and shorthand for the new label (its name was, in fact, somewhat amorphous). Works followed soon by iconic Japanese artists such as Keiji Haino, Ghost, Kaoru Abe, White Heaven, Che SHIZU, Shizuka and many others; the label would eventually release over 240 albums. And, across nearly ten volumes, P.S.F. 's seminal Tokyo Flashback compilations provided wide-ranging introductions to the curious and helped to expand the label beyond its Tokyo base. To further document and explore the music he was working with, Ikeezumi also sporadically published the magazine G-Modern. Though Modern Music closed in 2014, Ikeezumi continued his work with the label, even as his deteriorating health began to slow his days. In recent years, he reached an agreement [with Kolovos and Lowenthal], through Black Editions, to reissue the P.S.F. catalog. Mr. Ikeezumi was a truly visionary man; he had a remarkable ear and an ability to identify truly new and exciting currents in music. He championed and brought first light to many artists that have gone on to have long and distinguished lives in music. Against great odds and out of nothing more than a love of the music, he greatly expanded the world he lived in... to include us. A mystic collective of musicians led by Masaki Batoh. Culling from the depths of ancient Japanese spirits to channel their music, Ghost are one of the most beloved and enigmatic of the P.S.F. artists. This track from the Tokyo Flashback compilation is a perfect introduction to their deeply meditative and hypnotic world. White Heaven deliver wild blasts of wah-pedal-drenched coolness, with English lyrics and a more structured form than some of their P.S.F. labelmates. The undeniable chemistry between guitarists Ken Isihara and Michio Kurihara remain among the most unforgettable and revered of the P.S.F. catalog. One of the great bands of the late-'70s Japanese psychedelic underground scene was Kousokuya, formed by Jutok Kaneko. The band's heavy, dark take on psychedelic rock music remains a mystery all its own. This track is taken from the debut P.S.F. compilation Tokyo Flashback, from 1991. Haino's solo work is just as essential to the P.S.F. catalog as Fushitsusha, but reveals entirely new depths. This track from his 2002 P.S.F. album To Start Let's Remove The Color offers gorgeous excursions in solo guitar and voice, providing a more meditative and solemnly barren landscape. A lost rebel of the Japanese underground, Kadotani was a prolific songwriter whose wild home recordings from the early '80s mirror his intense manic depression, which eventually led to his early demise. This track is taken from a posthumous collection of his recordings and is stunning in its simultaneously futuristic vision and rough technique. Kawabata Mikoto had been a member of seminal groups such as Mainliner and Toho Sara, but is best known for this long-running, far touring band. Acid Mothers live up to their name with wild freak-outs evolving from late '60s and '70s-inspired rock and drone. This track is from their 1999 P.S.F. album Pataphisical Freak Out MU!! 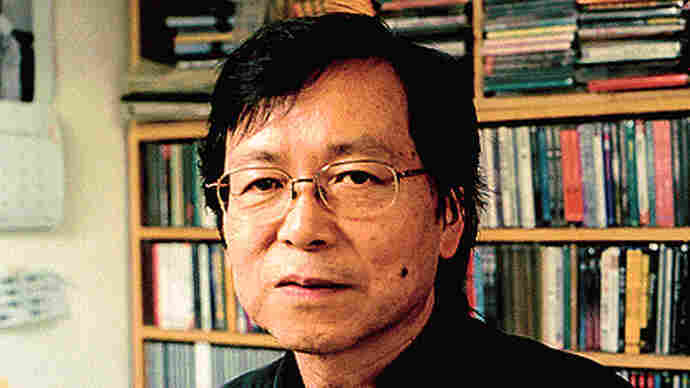 The music of Kaoru Abe provided an early inspiration for P.S.F. Abe played with a fiery intensity that rivaled Albert Ayler at his peak. This is music that lives on the edge and an early example of Japanese "free underground" music. Mikami was an outsider folk singer in the '60s , whose delivery and songwriting were more intense and deeply poetic than his more pop-oriented peers. P.S.F. recognized Mikami's unique brilliance and invited him to record a series of LPs and collaborations for the label. This track is from his 1991 P.S.F. album I'm The Only One Around. A quiet sadness envelops the music of Shizuka, whose ballads ache with beauty. Their sole studio album, Heaven's Personae, features some of the most straightforward — yet equally magical — music within the P.S.F. catalog. Led by legendary improvisor Chie Mukai, Ché-SHIZU is an exploratory dream psychedelia featuring Mukai on vocals on er-hu, a violin-like instrument designed to mimic the human voice. This track, from their 1994 studio album A Journey, shows a lighter side of the P.S.F. aesthetic, though just as deeply intense and profound. Led by Keiji Haino, this long-running group is a pioneering symbol of the P.S.F. aesthetic, tearing down all boundaries of conventional rock music and finding new limits to traditional instrumentation. While at first it may seem impenetrable, there is an undeniable logic and intent to Haino's music that reveals itself to those who listen closely enough. As a premier act on the P.S.F. label, High Rise are among the legends of 20th Century Japanese underground music. Led by Nanjo Asahita on fuzz bass and Narita Munehiro on electric guitar, this track is off their classic second album High Rise II.